.To do malfunction diagnosis and maintenance easily. normally even some LED failure. .Luminescence degreed is 10 times than the existing grow light, luminous efficiency stably, saving more energy. .The light and power is connected by the waterproof stack plug to make fix & debuging easily. 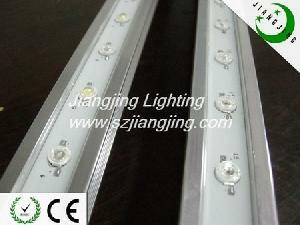 Company Name: Shenzhen Jiangjing Lighting Co., Ltd.